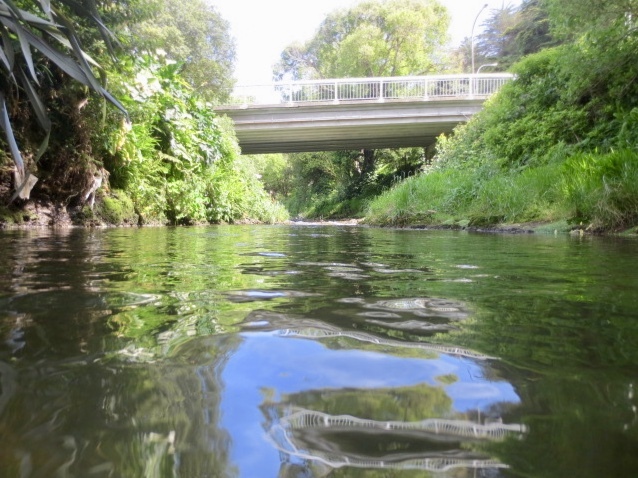 I’ve recently returned to the streets where I grew up – to Tawa, and the valley of the Porirua Stream, which provides the natural back boundary of our Nathan Street section. In returning here with my young family, and in seeking to learn what life has been and might be in this place, Berry’s reflections are sober encouragement. My mind has returned, time and again, to the Porirua stream, the original and blessed white noise of this place, an unceasing, unperturbed and emphatic counter-point to the blunt-nosed flow of cars along Main Road, across the McLellan Street bridge, to wherever the hell it is we’re headed. I love this water, love what it does and how, love where it goes. Except in our crossings, no one sees the stream. Yes, in the morning walk to the train, or during our traffic-crawl across one of the many bridges in the valley, there is light on dancing water. Or perhaps—if we’ve popped an ear-bud—we catch the murmuration of the stream in its bed. But we don’t understand, don’t associate our faucet-turning, sink-plugging, lawn-sprinkled lives with this reality. It’s the flow which has shaped our whole environment, a world-shaping force that—as a distinct body of water—testifies every day to the possibility at all of life. 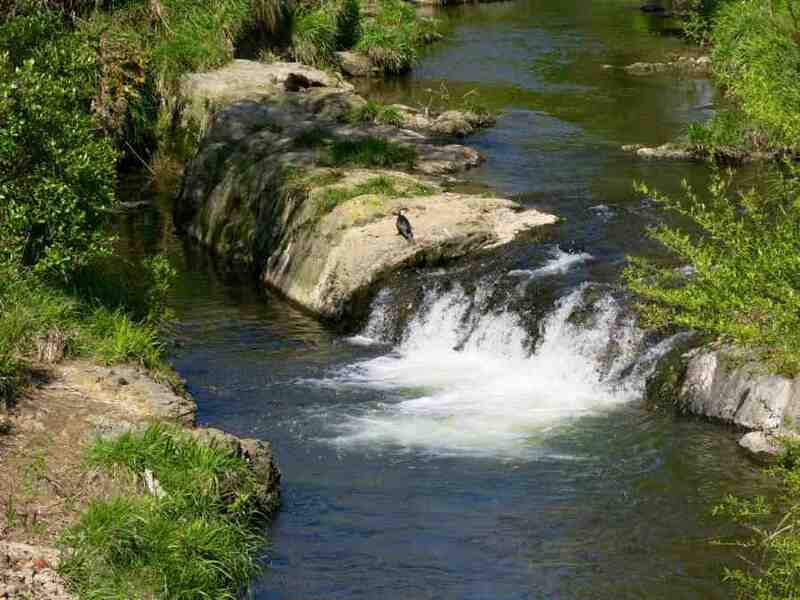 We don’t connect our unwrapped polymer existence, our micro-beaded rites of cleansing, our shared run-off, with this streaming, threaded basin: the Porirua Stream and its catchment. Not until, that is, with sudden extreme rain, it rises to trouble our streets and homes. Being at home in a place entails familiarity, and with this come moments of contempt, or worse, of blank disregard. But to be at home well—to know our place, which is to say, to love our place in the world—entails a lively familiarity, an intimacy and care arising from a long or close association. We not only know where we are, but how we are in that place, and know that how we are matters – that love of place assumes a response of care. To live well in this valley, in this catchment, entails not just a commitment to those very Tawanese values of community, neighbourliness, and civic duty. It entails an ability to appreciate this central, unbroken thread of our environment, and to make room for an enlarged understanding of my-life-in-connection-to-the-Porirua Stream and the harbour it feeds into. It means caring about run-off, litter, gutter-fed storm-water drains, and the octogenarian eels of this stream’s many secret pools; about how plastic bags make for poor imitations of water-trailing ferns; about the scarcity of good access points to the stream, caused in part by historical straightening of the watercourse, making it run faster and cut deeper—more readily a gutter for the valley; and about the absence of stream fish, about kai moana down at Takapuwahia. Cute wordplay. But apt advice when it comes to learning this place, advice I took the morning I donned waders and scrambled down our bank to spend a day standing under bridges, walking up the watercourse, learning the ways and inclination of this streaming valley. It has been this view from below—the view, for example, from one of the eel-inhabited, chest-deep plunge pools that cascade one into the other in a hidden run behind the blank tarmac of the Tawa Junction carpark—that has awakened in me a new curiosity, a new attention, new deferential care. I’m perhaps just beginning to have the maturity and liberty to acknowledge the question of what inheritance I will leave this place. a coiled hose, a tap. down to the raw water. by Linden Park. You might. don’t, if you catch my drift. To discover streams in your backyard, go in NZ topo map, put in a local feature and zoom in.